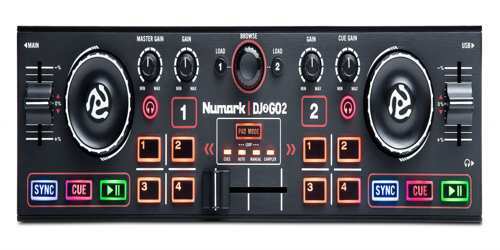 Numark (numark.com), the world’s leading innovator of DJ solutions, announced (16/8/2017) the introduction and immediate availability of its new DJ2DO2 pocket- sized—but full-featured—DJ controller. Boasting a built-in sound card and Serato DJ Intro, the DJ2GO2 is the smallest full-featured DJ controller around. It fits easily on a laptop without taking up any unnecessary space, so users are ready for action in no time. It’s perfect for performing small gigs, prepping for gigs, and it makes a perfect backup for those “just in case” moments. 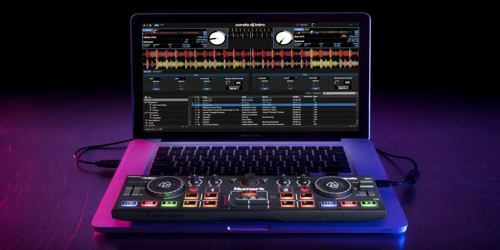 The controller is technically optimized for use with Serato DJ software and comes with Serato DJ Intro; the controls on the DJ2GO2 can be mapped with other DJ software. 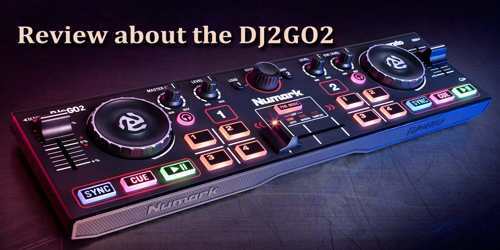 The Numark DJ2GO2 will be available in autumn 2017 and will cost USD 79. The design and functionality of the DJ2GO2 makes it ideal for every type of DJ. Traveling DJs will enjoy having the critical elements on the go to practice, prep, and adjust their set. 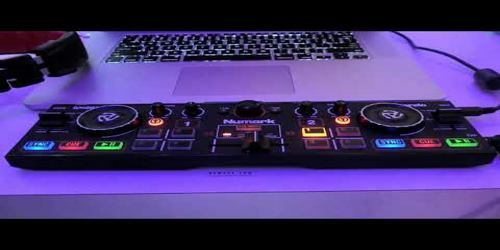 Mobile DJs can use it as a back-up or for a small gig with a minimal setup. All the controls are at the DJ’s fingertips: simply plug in the headphones and connect the speakers through the master output. The DJ2GO2 features a built-in sound card, two channels with pitch control, a master gain, headphone output, crossfader, 8 cue point buttons, and the ability to browse and load songs. It even has jog wheels, although it should be noted that minuscule jog wheels (as these are) often prove frustrating instead of useful, especially without knowing if they have any tension. There’s also a pad mode which provides access to performance controls usually found on larger controllers. Control with quick access to cues, auto/manual loop, and sampler. DJs also map the DJ2GO2 with other popular DJ software.